Naz Children’s Centre bridging the learning divideThe Naz Children Centre in Rose Hall, opened its doors to its new home at the start of the new school term. The school which has been in existence for eight years, has been working with students who have special needs, but the learning environment also incorporates students that would be considered normal, under the particular circumstance. Master Spas Inc. Partners to Build New School for Children’s CentreFort Wayne, IN (PRWEB) May 30, 2013 Master Spas Inc., a leader in spa manufacturing and sales for more than 30 years, has recently partnered with a number of organizations to fund the construction and maintenance of new facility for the NAZ Children’s Centre in Rose Hall, Jamaica. 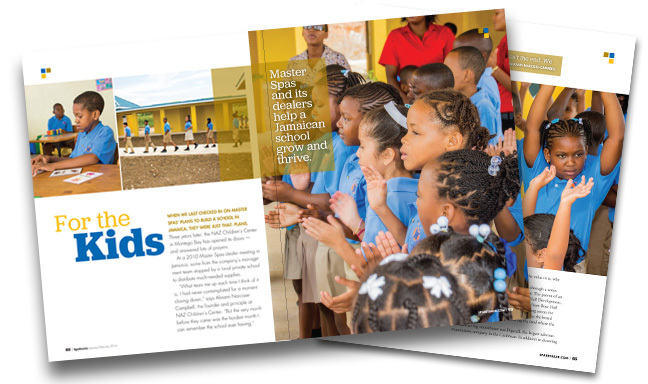 Master Spas and thier dealers are teaming up with the Digicel Corporation, Rose Hall Development Group and The Spanish-Jamaican Foundation to build a state of the art school for NAZ Children’s Centre. 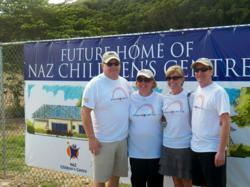 NAZ Children’s Centre is a “mixed ability” school that caters to each child’s developmental needs. Digicel Foundation donates $31m to children’s centreWestern Bureau:The NAZ Children’s Centre in Montego Bay has received a generous donation of $31 million from Digicel Foundation to construct a new facility, which is earmarked for completion by September 2013. With the expected increased space, the school is now poised to start the Leadership Education and Achievement Programme, which will enable special-needs children over the age of 13 to learn a skill. NAZ CHILDREN’S CENTRE BREAKS GROUND: CONSTRUCTION ON NEW SCHOOL TO START SOONFollowing a J$31 million commitment to NAZ Children’s Centre for the construction of a new school, the Montego Bay-based special needs institution has now broken ground at its new location in Cinnamon Hill on Friday, November 16 th with the hope of completion by September 2013. Western NewsNaz Children’s Centre to get new home MONTEGO BAY, St James – GROUND is expected to be broken in August on prime lands in the Rose Hall area – donated by the Rose Hall Development Company – for the construction of a new facility to house the Naz Children’s Centre. NAZ Children’s CentreFrom left: Betty McKenzie of the Spanish-Jamaican Foundation (SFJ); Celsa Nuno, president of the SJF and Spanish Ambassador to Jamaica; Alixann Narcisse-Campbell, principal and director of the Naz Children Centre; Gregory Mair, then minister of state in the Ministry of Education, with several students of the centre in Ironshore, Montego Bay, during a handover ceremony to donate furniture and educational supplies to the institution last year.